Michael Ruse posted this article last year, but his insights are still spot on. A few of his incisive criticisms . . . I am not a devout Christian, yet if anything, the things said against me are worse. Richard Dawkins, in his best selling The God Delusion, likens me to Neville Chamberlain, the pusillanimous appeaser of Hitler at Munich. Jerry Coyne reviewed one of my books (Can a Darwinian be a Christian?) using the Orwellian quote that only an intellectual could believe the nonsense I believe in. 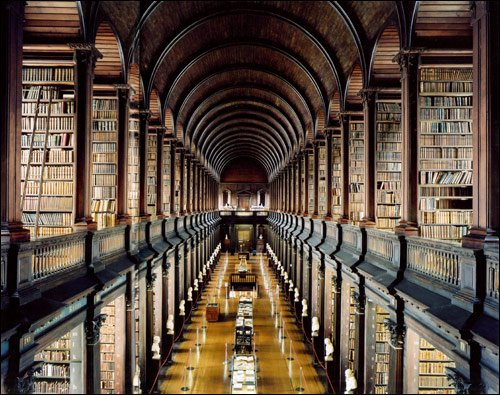 And non-stop blogger P. Z. Myers has referred to me as a “clueless gobshite.” This invective is all because, although I am not a believer, I do not think that all believers are evil or stupid, and because I do not think that science and religion have to clash. Let me say that I believe the new atheists do the side of science a grave disservice. I will defend to the death the right of them to say what they do — as one who is English-born one of the things I admire most about the USA is the First Amendment. But I think first that these people do a disservice to scholarship. Their treatment of the religious viewpoint is pathetic to the point of non-being. Richard Dawkins in The God Delusion would fail any introductory philosophy or religion course. Proudly he criticizes that whereof he knows nothing. As I have said elsewhere, for the first time in my life, I felt sorry for the ontological argument. If we criticized gene theory with as little knowledge as Dawkins has of religion and philosophy, he would be rightly indignant. . . . Conversely, I am indignant at the poor quality of the argumentation in Dawkins, Dennett, Hitchens, and all of the others in that group. I have written elsewhere that The God Delusion makes me ashamed to be an atheist. Let me say that again. Let me say also that I am proud to be the focus of the invective of the new atheists. They are a bloody disaster and I want to be on the front line of those who say so. 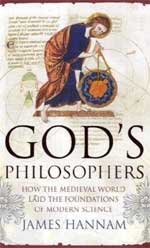 The Thinking Christian blog reviews this interesting book on the Medieval contributions to modern science. [Author James] Hannam speaks of the myth that “there was no science worth mentioning in the Middle Ages,” and “the Church held back what meager advances were made.” These beliefs took flower as late as the 19th century with Thomas Henry Huxley, John William Draper, and Andrew Dickson White, who tried to paint religion as the enemy of science. Their story has been told often; Hannam himself has blogged on it. Anyone who checks his references will wonder how he could have maintained his opinions if he had read as much as he claimed to have done. Others have treated White less gently than that. Publishers Weekly gives a brief review of two new books on this topic — The Genesis Enigma: Why the Bible Is Scientifically Accurate (Dutton, Oct.) and The Religion and Science Debate: Why Does It Continue? (Yale Univ., Sept.). The 100th anniversary of Yale University’s Terry Lecture series prompted the publication of The Religion and Science Debate: Why Does It Continue? (Yale Univ., Sept.). Edited by Harold Attridge, dean of the Yale Divinity School, the book’s six contributors include Princeton University sociologist Robert Wuthnow, Notre Dame philosopher Alvin Plantinga, and Ronald Numbers, a science historian at the University of Wisconsin–Madison. “We chose this topic because it’s been one of interest and concern on the U.S. public scene in recent years,” said Attridge. Along those lines earlier this year, the press published David Bentley Hart’s Atheist Delusions and Terry Eagleton’s Reason, Faith, and Revolution, both of which have been well received, publicist Robert Pranzatelli said. Former mathematical physicist and now Anglican priest and theologian John Polkinghorne brings a unique perspective to questions of the relationship between science and religion. First Things gives some background and describes two of his recent books. That tendency, as I recently noted, is scientism.